You had a clean, well-lighted nook somewhere in the house to do your homework, and you thought it was tough? Some kids don’t even have that, but seem to have such a burning desire to get their homework done, to get an education, to get a better life, that a badly-lighted, uncomfortable homework nook won’t stop them. Did you see this kid doing his homework? This little boy studying outside of a McDonald’s has the Internet buzzing. 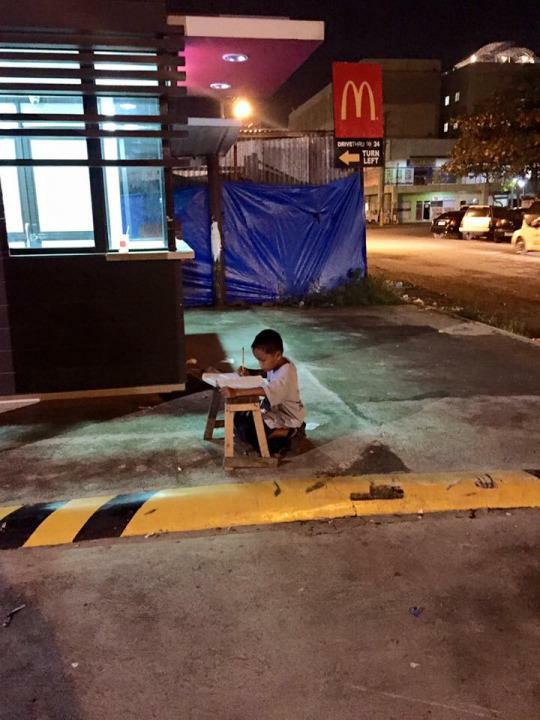 (Photo: Joyce Gilos Torrefranca/Facebook) Two photos of a boy doing his homework under the light of a McDonald’s in the Philippines have gone viral and inspired an outpouring of donations and support for the third-grader’s struggling family. Torrefranca posted the photos to Facebook on June 23 with the caption, “I got inspired by a kid.” Her post was promptly shared more than 7,000 times. In the photos, which were taken in Cebu City, 9-year-old Daniel Cabrera is kneeling on the ground, resting his homework on a wooden stool. 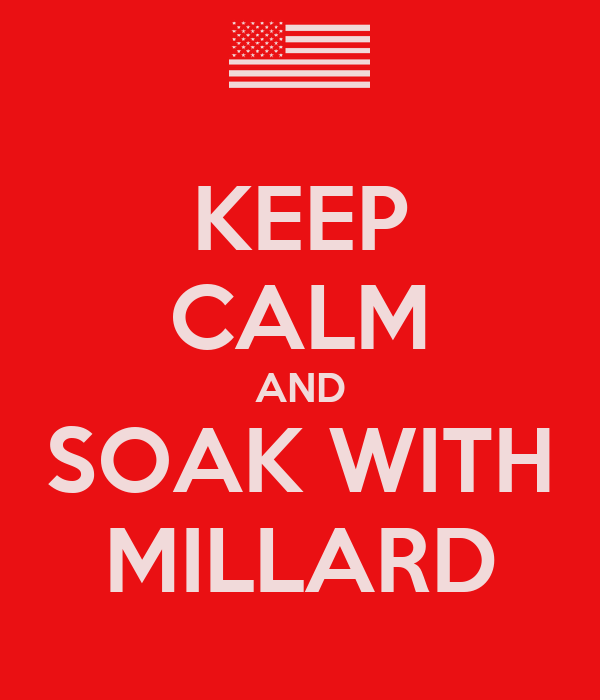 You can’t help but respect the kid. Nor can you help but feel sorry for him in his homework situation. When the photo caught the eye of the public, help poured in . After the photo made the rounds on social media, local organizations, including a welfare agency, reached out to support the family, according to ABS-CBS. Local police officers gave the family groceries and some cash, sponsors are chipping in to provide Espinosa with the capital to start her own business, and Daniel got a scholarship grant from a local politician. And that grant should come in handy for Daniel, who has years of studying ahead of him. He told local radio station dzMM that he wants to be a police officer when he grows up. What are the excuses your students give for not having their homework done? 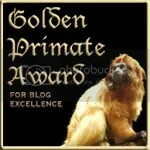 Have they met Daniel Cabrera? Does mood affect how well you do homework? Interesting discussion around how a student’s mood affects retention of material covered in homework, from the students at Extreme Biology.